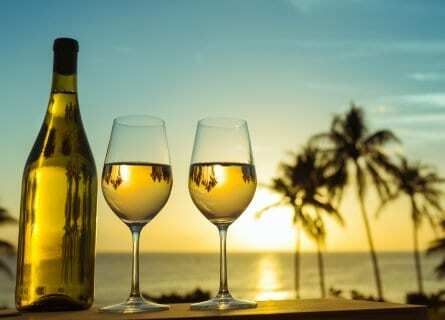 For serious wine lovers who want to visit the best wine regions in Spain as well as enjoy professional and technical wine tastings (vertical tastings, mythical wines), this Spanish Wine Vacation is for you. The wine tour is designed for groups and is perfect for wine clubs, and retailer/importer groups, sommelier groups, as well as for Spanish wine enthusiasts. There is an emphasis on luxury and fine dining here as well, so it is for wine lovers who want to visit the wine roads of Spain in style. Spanish wine appellations on the tour include Ribera del Duero, La Rioja, Txakoli, Somontano, Penedes and avant-garde Priorat – a spectacular wine experience! The wine vacation begins in Madrid, where your group will spend a few days soaking up the charming atmosphere, some superb dining and a professional wine tasting at Madrid’s best wine shop. 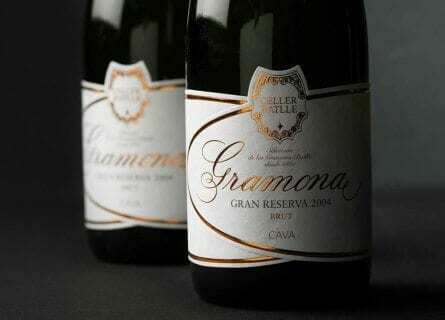 The tasting will include such famed wines as Alvaro Palacios L’Ermita, Vega Sicilia, and Numanthia. From pretty Madrid, your wine pilgrimage will take you north to the castle filled region of Ribera del Duero (home to full-bodied reds made with the Tinta del Pais, “Tempranillo” grape), La Rioja (land of hilltop villages and ancient cellars) and Txacoli (an artisan wine made on the seaside in Basque country). From the beautiful, lush Basque coast (where you will be staying in one of Spain’s loveliest cities- San Sebastian), drive through the foothills of the dramatic Pyrenees mountains, passing Romanesque villages, lakes and wonderful scenery, to the wine region of Somontano. 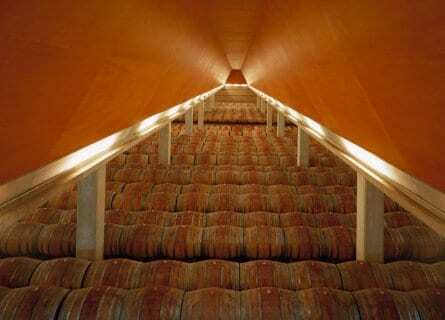 There, visit one of the most unusually designed bodegas in Spain, resembling a Mayan Temple inside. And finally, the last few days of this unforgettable wine tour will be relished in Barcelona, the Costa Brava, and the Catalan wine regions of Penedes, Priorat, and Emporda. This is an unbeatable route for Spanish wine lovers! Arrive in Madrid this morning and your private driver will be waiting for you. Travel by luxury minibus to the glamorous historic center to your perfectly situated luxury hotel, a gorgeous converted palace dating back to the 1800s which faces the lovely Retiro Park. Enjoy a welcome lunch at a traditional Asador near the Opera House, with classic, comforting Spanish dishes paired with wines from Penedes, Rias Baixas, Bierzo, Toro, and Jerez. 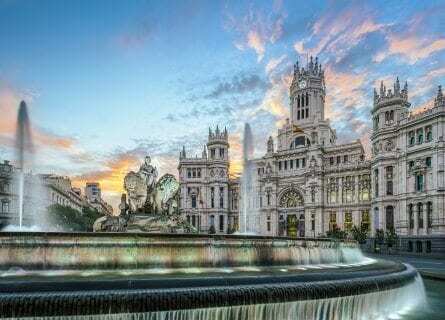 Free evening in Madrid to catch up on your sleep, go shopping or take a stroll around this beautiful city. This morning you might like to sleep in or go exploring on your own to the Prado Museum (classic painters such as Velazquez, Goya, El Greco Tiziano, Zurbaran, Murrillo) and the Reina Sofia (Modern painters such as Picasso, Dali, and Miro). 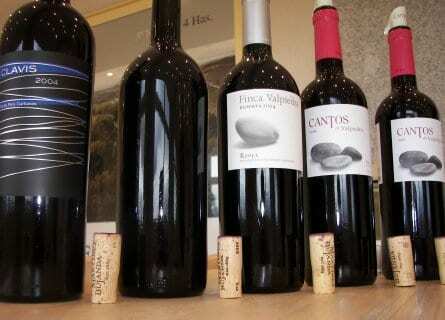 You have a Spectacular Wine Tasting planned today at lunchtime of Spain’s mythical wines including Vega Sicilia, Alvaro Palacio’s L’Ermita, Numanthia, Mauro and a few surprises, all taking place at Madrid’s top wine merchants Reserva y Cata. The owner is a hoot and you will have a delightful experience along with a blind tasting portion. Follow with homemade tapas, fun and relaxed! Free time after lunch to chillax. Tonight’s dinner is at Madrid’s gourmet haunt -Viridiana. Enjoy a multi-course feast with wine matching at Abraham Garcia’s mythical restaurant. Today you will drive north across the plains to the Ribera del Duero wine region. Take in two contrasting professional wine tours at the renowned Emilio Moro estate and the charming caves at Valsotillo. Begin the day with a tour of the emblematic Valderramiro and Sanchomartin vineyards at Emilio Moro. Enjoy an extensive tour and tasting paired with a light lunch and views over the vines. A fun barrique tasting and tour of the bodega will be organized after the tasting. Then carry on to Burgos province where you will stroll through romantic, 16th-century subterranean wine caves at the family-run wine estate Valsotillo before tasting the full range of wines on a private tour. Afterward, you will travel north to Burgos, the birthplace of the legendary Spanish folk hero El Cid, in the 11th century. Check in to your beautiful hotel in Burgos which is a stunningly converted monastery, enjoy a free afternoon and evening on your own to explore this historic little gem, including its magnificent 13th-century Gothic Cathedral. We will make recommendations for dinner. Burgos has some fantastic tapas bars. 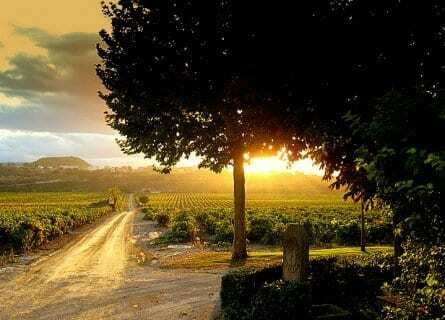 From Burgos, travel to the beautiful wine region of La Rioja. 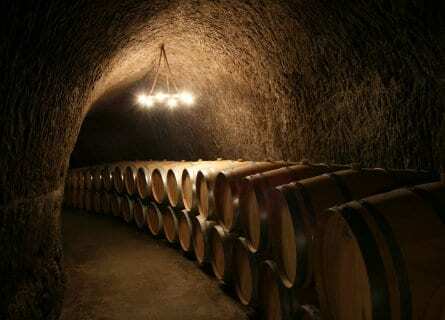 Your first stop is in medieval Briones where you will enjoy a private visit to the outstanding winery, Miguel Merino. Miguel is one of the most charismatic wine personalities in Spain and a visit to his winery is a special treat, and you will taste his superb wines. Follow a visit here with a peek around this darling medieval hill topped town including their gorgeous cathedral with its Italian organ and ancient monk’s music scores. Lunch is in a converted wine cave where you will love the traditional Riojan cuisine such as baby lamb chops, spicy roast piquillo peppers, and smoked Idiazabal cheese. Top Rioja wines such as Roda will accompany your lunch. After a convivial wine lunch, you will continue on to the enchanting medieval village of Laguardia, where you will spend the night. Free evening to discover this village on your own. Don’t miss a walk along the ancient wall with views of the Cantabrian Mountains and of the valley blanketed by vineyards. Today you will explore La Rioja even deeper and will enjoy some walks in the vineyards where you can appreciate the soil types and have a closer look at the grapes. You will begin with a visit to the hacienda-style single estate of Finca Valpiedra, where you will begin with an overview of the region while enjoying views over the Ebro River. A visit to their pretty cellar and a full tasting of the Martinez Bujanda wines will follow. Carry on to the ultra-fashionable Remirez de Ganuza winery located in the medieval village of Samaniego where you will taste some of the best wines on this tour! Lunch is nearby at a gourmet haunt located in the dramatically fortified historic village of San Vicente de la Sonsierra. The cuisine here is creative and provides a good contrast to yesterday’s traditional lunch. In the late afternoon, return back to Laguardia. 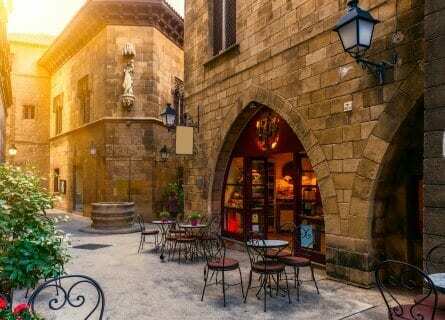 Dinner on your own in the atmospheric medieval village, where a multitude of gourmet restaurants abound. Transfer Laguardia-Zarrautx (Basque Country) for a delightful visit to a small, family-owned beautiful winery in Txacoli wine country. Lunch is in Getaria, at the most famous seafood restaurant on the Basque coast. The village is a lovely, historic fishing village with the freshest seafood in Northern Spain, grilled outside. This will be one of the highlights of the tour! After lunch, we will head to the delicious village of Hondarribia, located on the French border. This village is one of the most picturesque in Spain and you will visit the old town and the photogenic port. In the late afternoon, travel to San Sebastian, Spain’s gourmet capital. Dinner on your own at any of the multitude of “Tapas” and “Pintxos” bars or Michelin starred restaurants in San Sebastian. Free day in San Sebastian to enjoy the spa, the fascinating Aquarium or the beach. This is a good mid-tour break for you to rest and catch up on your sleep, perhaps do some shopping or just enjoy a leisurely lunch on your own. Tonight, you will enjoy an unforgettable gourmet Dinner at 3 Michelin Starred Akelarre, which apart from amazing cuisine also offers dramatic views over the Atlantic ocean. Pedro Subijana is the celebrity chef and you will meet him tonight. Your tasting menu is six courses and paired with some of the best wines in Spain. This morning at your preferred time you will head west to Bilbao where you will have time to visit the outstanding Guggenheim museum, designed by Frank Gehry. Free time to explore the airy installations on your own. Grab a bite to eat at the museum’s cafe or Michelin starred restaurant. 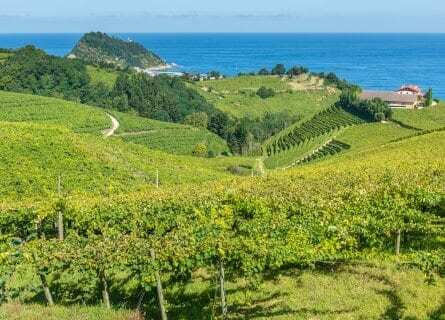 Carry on to Bilbao airport, where you will have a short flight to Barcelona, the cultural and economic heart of Catalunya, and base for the next wine tours. Your driver will take you to your hotel and enjoy a free evening with our tips. Evening arrival in Barcelona. Our hotel is a luxury palace right in the Beverly Hills of Barcelona, the Eixample. At 10 a.m. you will be collected at the hotel by our luxury vehicle and chauffeur and whisked away to the stunning Costa Brava. First stop will be to visit Martin Faixó winery. You will be greeted with an aperitif in the vineyard, followed by a tour and tasting of their flagship wines. Lunch is next, just a short 10-minute drive to the coast in postcard-pretty Cadaquès. Restaurant Compartir focuses on dishes to share as the name suggests (“compartir” means to share) and is set in a delightful 18th century restored building in the heart of the historical center. After lunch, enjoy a digestive walk around this beautiful town. A former fishing village, now known as an artists’ hotspot, Cadaquès was the stomping ground of Salvador Dalí and has hosted the likes of Pablo Picasso, Joan Miró, and Man Ray. Take in the lovely sea views and an energetic town life brimming with galleries, shops, and cafés. “Casa de Dali” Dali’s house where he lived until 1982 is well worth a visit. On the way back to Barcelona you will stop in the breathtakingly beautiful ancient fishing village, Calella de Palafrugell. Almost untouched by mass tourism, this darling place is perfect for a glass of wine overlooking the narrow streets and steep tiled roofs. You will visit the Mediterranean wine region of Penedés today. The passionate wine family at Parés Baltà will be expecting you for a privileged vineyard tour followed by a tasting of their best cavas, and still whites and reds including their cult wine Absis. This is an unforgettable experience. Lunch will be at a gourmet eatery in the seaside village of Sitges, and you will get to do some sightseeing after lunch. Late afternoon transfer to Barcelona and a free evening. This morning, you will travel to the last wine region of this tour, Priorat! 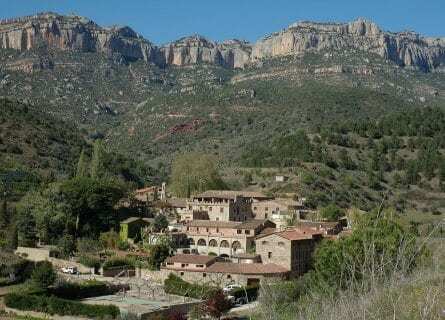 Located in the absolutely beautiful protected park of Montsant, this region is different from any of the other regions you have seen. The vineyards are grown on terraces reminiscent of the Douro Valley and the soil is called “Llicorella” a crumbly slate. 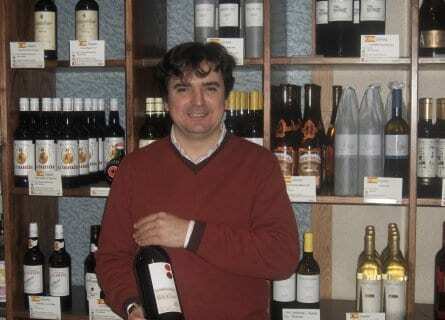 You will visit the fine wine estate of Costers del Siurana run by the energetic and charming Carles Pastrana. An entertaining visit of the winery will be followed by a spectacular tasting of the best wines including Clos de l´Obac and red dessert wine Dolç de l´Obac. A simply fabulous gourmet lunch will follow in the hamlet of Falset, run by the bubbly Antoni Bru. You might run into Swiss, Italian or American Foodies here, so famous is this hole in the wall eatery. En route back to Barcelona you will stop and visit Scala Dei, this winery dating back to the 12th century is not only the oldest winery in the Priorat but also produces some of the most critically acclaimed wines of the region. Enjoy the last evening on your own in this fascinating city. A farewell gift will be waiting for you in your room. Transfers to the airport or your next port of call in Barcelona. This concludes your unforgettable Spanish Wine Odyssey tour! We hope to see you back for another tour again soon. You have made Spain come alive for us! All your planning has paid off for a tour we will never forget. Thank you for a job well done! Overall a wonderful and special trip, thank you! Loved it! Great memories abound from a variety of experiences of Northern Spain. My tasting cup “overfloweth!” Our guide, Pepe (Jose) was absolutely perfect! Great driver, too! They are the true ambassadors of Spain! Very happy that we were able to cover so much of all three wine regions. Loved the passion they all exhibited for their land, history, and winemaking. Many luscious wines were savored at all the private tours and tastings. Private tasting is the only way to be introduced to great wines. We all will recommend your tours with the highest of praise and already have! Hope we can plan another tour with Cellars Tours sometime soon perhaps in the Loire Region of France.